How can purchasing practices steer responsible supply chains? My last blog looked at what managing supply chains in a responsible way means and why companies are doing this, among other based on the article in the Economist with the title ‘No more excuses’ Responsible supply chains in a globalized world. Exploring this topic further, it is important to look at the practice, focusing at respecting human rights in the supply chain. In general, companies have a high level of confidence, even complacency, that they are doing the right thing. Only two per cent of the Economist survey’s respondents did not think they had a responsible supply chain. So, what is the problem, you would think? Unfortunately, the other answers to the survey did not give them reason to be so confident. Of the respondents, only 22% are addressing child labour, 23% address climate change and 28% address gender equality in their supply chains. Even a topic considered so highly in terms of good business practices as health and safety is only addressed by 60% of companies of this global survey. Needless to say, that this is not enough. These are exactly the issues that should receive attention when responsible supply chain management is concerned. In my experience and confirmed by the Economist, these topics are often avoided, because there is not a clear business case, or because they are difficulty to quantify and measure results especially when related to human rights issues. What can be measured, gets managed. Another reason is that the company never had an issue or never identified any of these risks themselves. Often, I hear the argument that the company has a supply chain policy that says it does not tolerate child labour, so there is no problem. Having a policy is a first step yes, but how are companies ensuring implementation and how effective is their approach? Let’s have a look at what companies say themselves that they do to manage their supply chain responsibly. According to the Economist survey, most do the minimum necessary and opt for compliance with law rather than going above and beyond. Often the engagement stops with asking suppliers to sign a code of conduct. Does a signature give sufficient assurance? 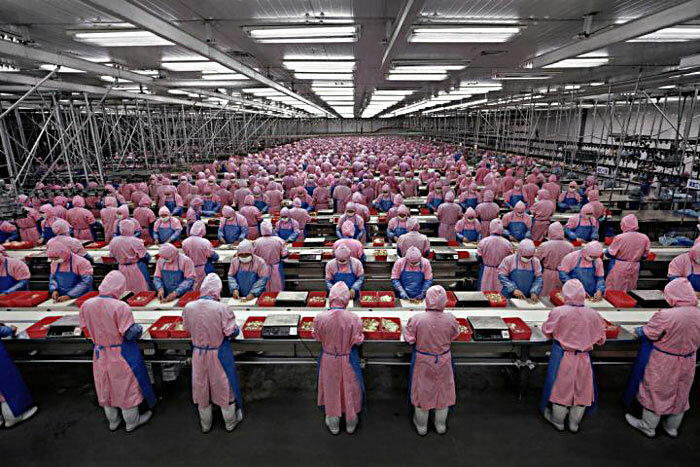 Half of companies surveyed by the Economist, go further and verify this by regular on-site audits of their suppliers. The number of audits is even higher for China-based firms (68%). Rewarding (33%) and penalizing (22%) are methods to ensure suppliers comply. Some companies have thousands of suppliers, and some leading ones are acknowledging that they should decrease their supplier base to be able to better understand and address social and environmental risks. An increasing number of leading companies is showing that direct contact, supporting and co-investing in suppliers is a more effective way to improve practices on supplier level. It surprised me that the Economist did not mention the importance of purchasing practices in this process, as these have an essential role to play. Last year, the ILO held a global survey with suppliers to identify purchasing practices and their impact on working conditions, particularly wages. Wages are related to other human rights issues. This was a group of suppliers from different industries, representing 1.5 million workers whose human rights should be respected in the supply chain. Ninety percent of these suppliers were expected to follow a code of conduct and half of them received some assistance in doing so, such as staff training or joint identification of breaches. Apparently, they are part of a supply chain of the more advanced companies. When looking at the criteria that buyers use to assign an order, it becomes clear that price remains the main criterion when deciding on a supplier, twice as important as working conditions. This leads to the situation that when a legal minimum wage in a country increases, buyers are not willing to incorporate this in their prices or negotiations. In the worst case, some companies even relocate to a country with lower wages. Wages are influenced directly by inefficient buying practices. A shocking example of this is that inaccurate technical specifications are mentioned by 50% of the suppliers as a reason for financial loss, because of higher production costs. For one third it even led to prices below the costs of production. The ILO calculated that this may lead to 22% lower wages at the supplier level. Too long working hours and temporary workers with little benefits and securities can be other consequences of an inefficient buying practice, insufficient lead times because of bad planning. For 60% of the suppliers this meant they had to ask their workers to make longer hours, increase the number of temporary workers or even use subcontractors. As we know from many other studies temporary workers and outsourcing increase the risks of human rights violations. These workers usually do not have the same rights as permanent workers, receive lower wages and monitoring those workers is even more difficult for an auditor or brand. It is striking that purchasing practices is still such an unexplored part of responsible supply chain management at the individual company level. The UN Guiding Principles for business and human rights point out that a company may contribute to human rights violations by its purchasing practices. In that case, it has a direct responsibility to mitigate but also to remediate the problem. Monitoring efforts alone are ineffective to address, especially issues such as wages and working hours, when there is no attention for purchasing practices. The root causes behind low wages or long working hours are usually not identified by audits. When price remains the number one criterion to start the relationship, all monitoring, and even support and awareness raising efforts, may not lead to better practices. You may wonder what a company can do to start with responsible supply chain management with respect for human rights, besides creating a Code of Conduct? The answer is that there are many steps to take and it very much depends on the level the company is at. An analysis of purchasing practices is a good start. Involving colleagues responsible for product development and procurement and making them understand the social and environmental consequences of decisions made at headquarters. Better planning and a clear choice of design and materials can make it significantly easier to maintain responsible supply chains. Ensuring human rights and environmental issues are integrated in every step of decision making.